Ok! I think this is the last part on my Acne Story. There is only part 1 and part 2. haha. I'm pretty sure nobody really wants to know the story. "Please just give me the solution to kill acne and cure acne scars already!!!" Alright alright... If u want to know the story behind it, u can read part 1. 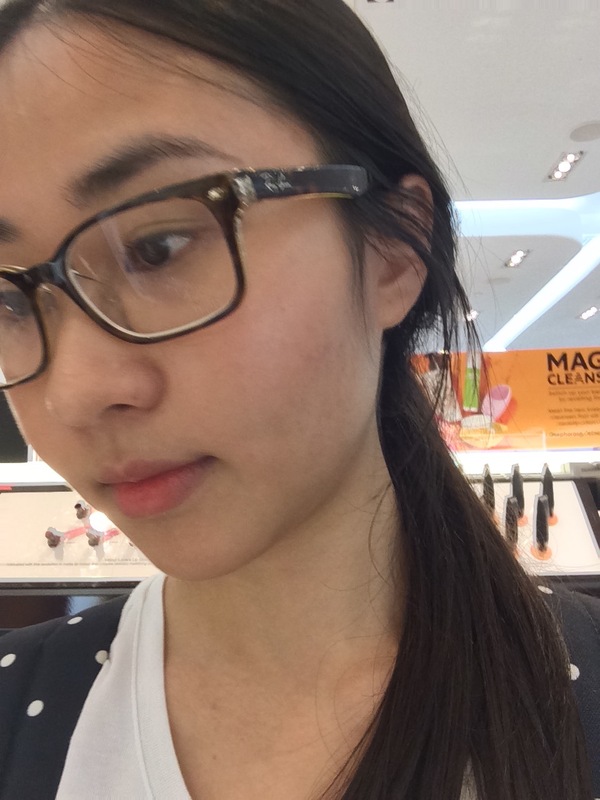 In this post, i will jump straight into that magic weapon i had cured my acne. I will also share the products and things i did to cure my scars. All pictures (except first one) are taken without makeup, and in the same place: Sephora. Please be warn of unappealing picture. On 31st of October, i had my 3rd facial treatment which was also the last time i dealt with acne problem! Hooray!!!! U can see that there are a lot of red/brownish/dull bumps and dots and scars and what not all over my lower cheek to my jawline. This picture was taken after the treatment where she put some cream to heal my wounds. Really horrendous. I lost my self-confidence and was under a really down & lost period. On mid December: my scars are disappearing. I never had new pimples popping out on that area again. On end of March: my scars are almost invisible. SO WHAT IS THAT MAGIC THING YOU WERE TALKING ABOUT???? I'm sure u haven't heard of this. When you google about "how to cure acne", there are hundreds of ways but almost little or none related to this device. As i mentioned, my facial therapist was using this device on me. Out of curiosity, i went to check this thing out and realised i can buy it and use at home!!! Since my facial therapist can use this on me and say i will see result, then why not i just buy one for myself at home and do it myself? I was also utterly surprised that the high frequency was very affordable. It is selling at $50 on Q0010, where i purchased it. 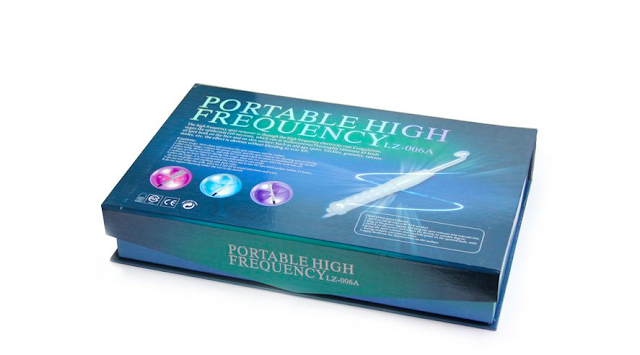 There is also a more expensive high frequency sold on Amazon where it can cost u $300. I chose this after reading tons of reviews about it on youtube, google and what not. Believe me, i spent more than 5 hours searching and reading about this. So i was quite certain that this device that i was purchasing is workable and authentic. You can read more about this on youtube when u search "high frequency device". I've watched almost all of those videos. When i first purchased it, the device looks very wrong to me. HAHA. u will understand what i'm talking about when you search about this device. To summarise, this device produces electrodes that is filled with neon gas. This helps to kill the bacteria and inflammation on your face. It increases your blood circulation and so can increase your collagen level and elasticity on skin. There are also so many other benefits such as reducing wrinkles, fine lines, firming, reducing puffiness. I watch people do this on youtube. Some use it for firming and lifting and some for acne. For me, i use this mainly for my acnes and scars. YES, THIS REDUCES SCARS TOO! Now that my face is so much better. I use it only for spot treatment when i have one or two pimples popping out. This device produces high frequency current, which is electricity to be simple. SO U CANNOT DO IT WHEN YOUR FACE IS WET (unless u want to shock your precious face). Now, don't be scared to hear the word 'electricity'. I was initially quite skeptical about this because .... electrodes on my face? Will i die?? But since my facial therapist had done it on me, i felt more assured that nothing is gonna happen if i do it myself at home. With a DRY and CLEAN face, u insert the electrode glass tube into the device. Turn it on, adjust the strength level and glide it on your face. U can apply oil (any type of oil but of course must be organic, fragrance-free kind) for easier gliding too. So either dry or with oil it is fine. Just make sure it is NOT WET. Some websites will tell you to put your index finger on the tube when it is turned on (i.e. when u see the orange light) and then put it on your face, then u can move away ur finger. This is to prevent u from being shock. I followed this instruction the first few time of usage and after that i just glide it on my face without my finger touching the tube first. No difference for me. U should only do each area NOT MORE THAN 3 SECONDS. That means u need to keep moving your wand around your face. If u put it on the same spot for too long, ur skin will get damaged instead due to the high frequency current. 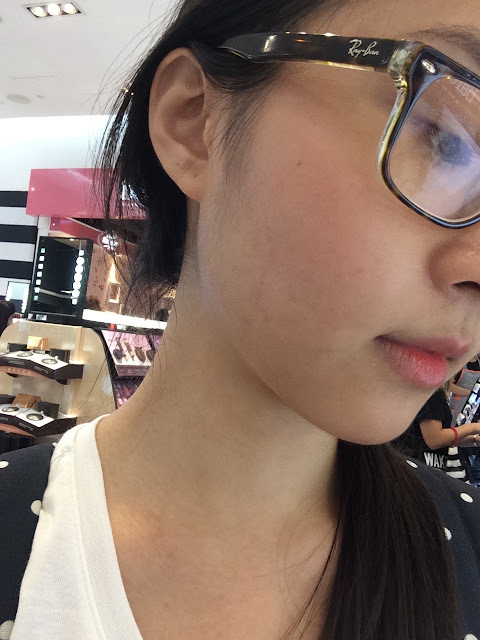 I glided it on my face for around 10 minutes almost everyday for the first two months because i had visible scars. Then 2-3 times a week and now 1-2 times a month. WHAT TO DO AFTER USING THE DEVICE? U should disinfect the glass tube and put it back to the box. I put alcohol on a cotton pad and then clean the wand. Sometimes i wash with water and soup. THE TUBE HAS TO BE DRY before putting it back to the box. And i don't wash the silver metal part at the bottom of the wand. Then you carry on your skincare routine: Put toner and then moisturiser. And u are done! I've recommended this to few of my friends. I really hope they start seeing results too. I was really really glad that this thing works for me. 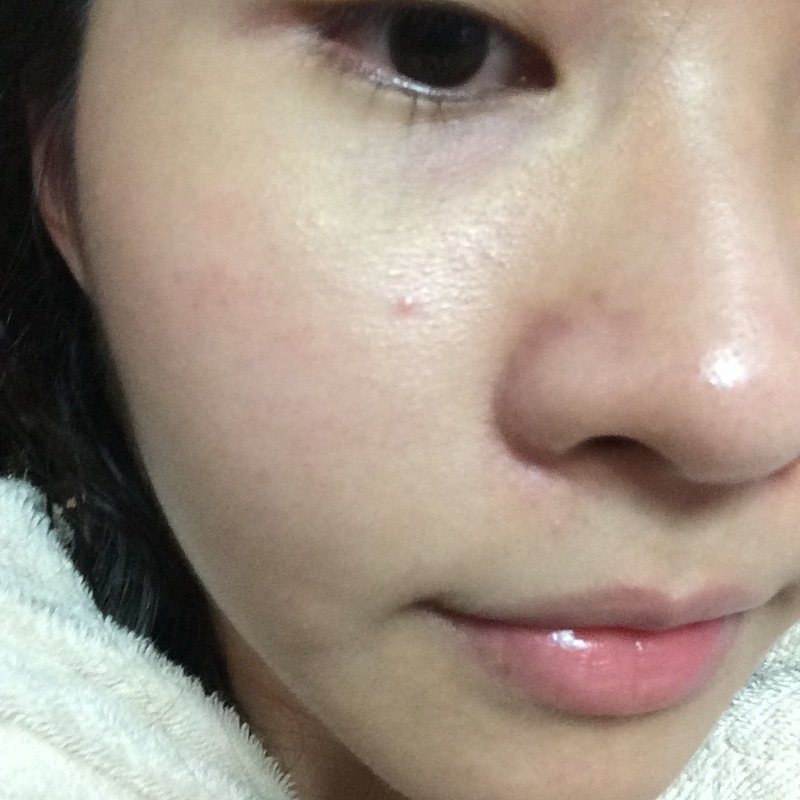 I honestly did not have new pimple coming out from that area after using the high frequency device. When you turn on the device and you use a higher strength to zap your face, you will feel slightly electrocuted and you will feel the little pain. And u will smell something like a bad egg kind of smell. I experienced all this during the first high frequency treatment at the salon because my facial therapist turned on to the highest. lol. I think she really wants to cure my acne ASAP. If you feel slight electric shock, then just turn to lower strength. Your face should feel a bit "electric" for it to work effectively. The current can go in deeper into your skin. But when i first got my device, i turned to the lowest cause i was scared. Subsequently, i turned on higher and higher until i can feel an effect. U will hear the "ZZZZZZZZ" sound when it is on. I discover a small bump that night. After showering (where i cleanse my face also), i use the high frequency. This is my face the next morning. WTH?! That bump was gone. I swear i did not edit the photos. And i swear this was taken the next day. These photos were taken two weeks ago. I have not squeezed any pimple for 4 months now. I learn not to squeeze them (even though i always squeeze them before i had my acne disaster). 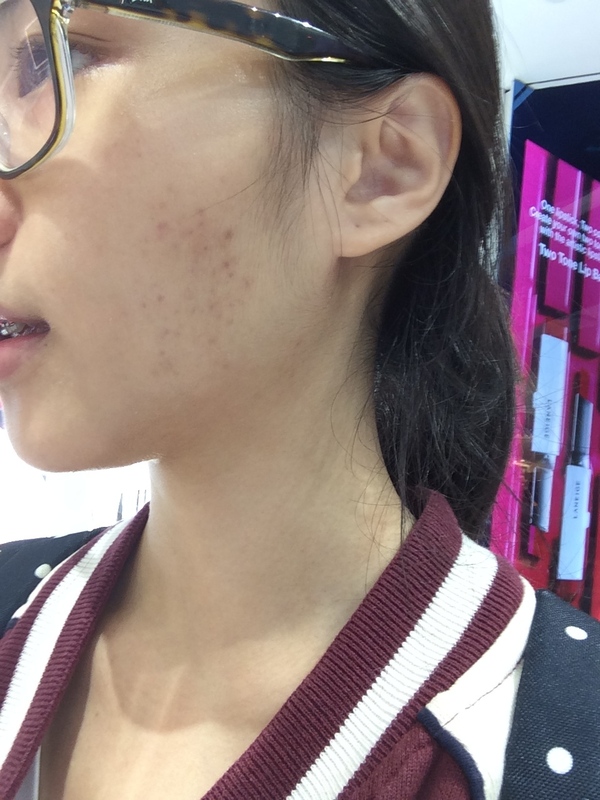 So what are the other products that i use and things i do to heal my scar faster/ keep acne under control/ improve skin complexion? I needed a Vitamin C serum because i read that it can help to lighten scars. So i purchased the SKINIC since it is made from Japan. haha. And i heard good reviews about it. However, this is only recommended to put before u sleep at night. It can dry out your skin. If u use this during the day, u need to put on sunscreen. Also, if you still have active acne, i think its not advisable to put this serum on. Let your troubled skin rest by applying basic products (toner and moisturiser) rather than putting on tons of other skincare product in hoping it would solve ur active acne problem. I have finished my 10ml bottle Vit C serum. Honestly, i won't buy it again. Not because it didn't work. I think i can see a difference in helping my scars. I'm not re-buying anytime now because it it simply too expensive for a 10ml bottle!!!! $64 ok... not cheap... On the other hand, i'm really interested to try the Vitamin A serum and Hyaluronic Acid Serum. I think that is what my skin needs now. Mainly all Clinique. haha. Because they are fragrance-free which is always a bonus for me. A gel type of moisturizer is good for oil combination skin as it doesn't clog your pores. I've used this two years ago but changed brand and now i'm coming back to this. Before i use the liquid facial soap, i was using the Anti-Blemish Cleansing Foam from Clinique. Both work just fine for me! The best thing about it is that my skin doesn't feel tight and overly dry after cleansing. If your skin is feeling like it is deprived of moisture and feels very tight after cleansing, then it means ur cleanser is too strong for your skin. U need to stop using that now and switch to something mild!!! I need an exfoliator too. When you exfoliate your skin, dead cells are removed and new cells can regenerate! That lets your scar to heal faster because new cells are doing their work now to repair your skin! Sounds logic right? I use this like 1-3 times a week only for the first month and then i just do this once a week subsequently. I don't want to over exfoliate my skin. Works great too! This is supposed to be use before toner, after cleansing, on dry face. U need to shake the bottle first. My toner is also from Clinique hahaha. I purchased the ultra big bottle. Now i'm left with 1/4. Please note that the above toner is not the actual product i am using. I cannot find the exact picture of the current toner. My toner is the clarifying moisture lotion hydratante clarifiante 2 with a silver reflective cap. The above price is in USD. Sometimes when i see little new pimple forming, i will put this on for spot treatment. However, this does not work for me all the time. Out of 10 times, maybe only effective 3 times. Plus, u need to discover the pimple very early then it will work. If this does not work, i use my high frequency then apply this drying gel on my face overnight. DOUBLE EFFECT. I'm also using the Laneige water bank gel cream concurrently with my clinique moisturizer. I've just finished this last week. Again, gel type moisturizer is for me and for people with oily combination skin. I also use the Clinique Anti-Blemish Clay mask once in a while to clarify my skin. 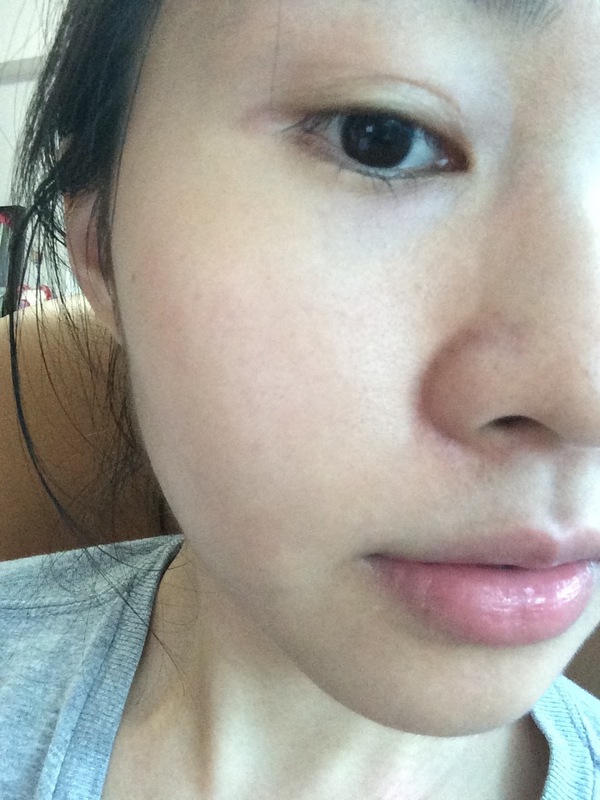 Recently, i'm into face oil and to be honest i really am loving it so much! I think face oil can potentially replace all my gel creams. Don't be scared that the oil is gonna make your face greasy and will clog your pores. In fact, it does the opposite. Because u apply oil on your face, ur face need not produce extra oil to keep the moisture. Thus, u won't get clogged pores and acne that easily since most of the time acne arises due to over production of oil. I read some reviews for some people that they hated this oil. I am loving it ok!!! U will also start to get use to the smell eventually. My current skincare routine includes the most basic steps: Cleanse, Tone and Moisturize. Sometimes i add in Exfoliator and then serum or just a serum or just an exfoliator. I am not doing that "full" skincare routine whereby u need to put essence, serum and mask too. I think a little goes a long way. LESS IS MORE. Beside buying so many skincare products, i also make sure i have enough sleep and drink plenty of water. This may sound a bit luxurious but i drink bird nest every now and then just to increase my collagen and heal my body. Sometimes i make my own collagen soup. The main ingredient in my soup is CHICKEN FEET. U can join my snapchat! I post a lot of cooking snaps and beauty snaps on it. I hope u can learn and take something from it. I also eat berries and drink fruit smoothie very frequently. I drink warm lemon water every morning. Lemon has vitamin C. Vitamin C is crucial to heal scars. I was obsessed with vitamin C stuff during the first 3 months of my healing process. I don't eat fried food so that is a plus for me. I DIY my own mask too. Oatmeal mask and honey mask are my favourite. U can tell that i am really very into beauty stuff. I will try almost anything that can make my skin glowy and nice. Currently, i'm drinking NONI juice as a supplement as well. This has great benefits for health and Miranda Kerr drinks this too! I also exercise once a week to get rid off the 'dirt' in my body through my sweat. That's it guys. I think i've shared everything with you. I hope u learn something from here. Use products that work for your skin. Know your skin type in order to know what kind of products will suit you. If your acne type is hormonal, i am not sure if the device will work because this is something inside your body. 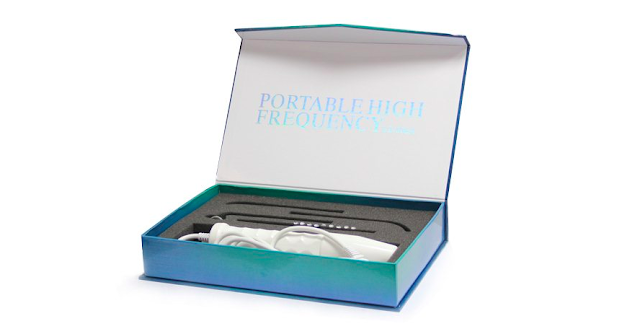 If your acne is infection kind, like mine, then i recommend you to try the high frequency!!! Please also keep a healthy lifestyle. A lot of people want good skin but forget about the proper diet that they should have. And please do not squeeze your pimple!!!! If ur pimple is really ripped and can come out just by a tiny pinch, remember to disinfect your hands first. I am really happy with my skin now. It looks radiant. I also have a natural blush on my cheeks. It becomes more visible after i use my argan oil. Most importantly, i don't have huge pimples stuck on my face. I'm still getting small pimples here and there but it really doesn't bother me. I either use my Clinique anti-blemish clearing gel or high frequency or both together. I've also read about derma roll to reduce scars on face. Not only that but also increase collagen. I might buy that to try too. haha. Not sure. If u want to know just stay tune because i will do a review about it for sure if i buy. Ok! Thanks for reading! I know this is a long post and if you have read every single word in this post, it shows that you are really determined to cure your pimples and i am on your side for that! While doing this post, i also realise how much money i've spent trying to cure my pimples. sigh... But i think this is all worth it now! If you have any other questions, feel free to comment down below or send me an email at yuenman25@hotmail.com Good luck! p/s: just for clarification sake, i am not sponsored or encouraged to say anything about the products mentioned above. Those are my personal opinion and experiences with the products. I trusted them and they work for me so i am here to share. After months of stopping my high frequency device, i feel like my pimples are coming back! I keep having pimple growing back at the same spot. This week, it seems like it is spreading. I know its time i need to do the high frequency diligently again. My face was almost clear when i stopped using the device. Just had my facial did and i requested the beautician to squeeze away all the pimples + dead blood. I'm gonna update you guys again after 3 months of diligent use of my device. VLCC Wellness Best acne treatment for men and woman by acne specialist, severe Treatment for Acne problem solves in acne clinic. When I was suffering from acne at that time I felt really hope less because I had used so many medicines but none of them worked. After searching so many websites to understand about this condition I have found a website related to this problem. In that website they have mentioned so many ideas to cure this condition. I think after visiting this website everyone will ask you- how did you get rid of acne . Trust me; this is the perfect site which covers every single detail about this problem. Such an amazing blog about the acne and I really appreciate you work which you have done well. I believe diet is a really important factor in achieving clear skin. 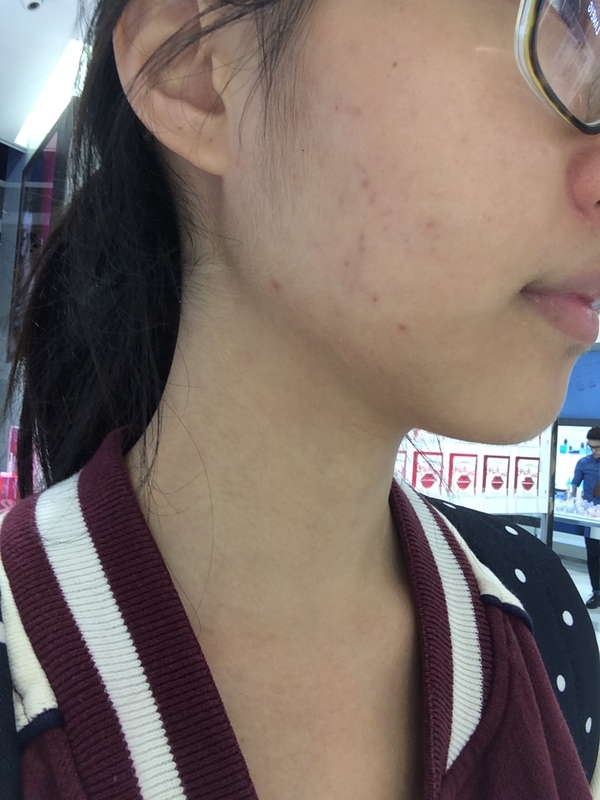 For myself personally ever since I cut out fast-food (McDonalds, KFC, Hungry Jacks) out of my diet I started seeing significant changes in my acne! Cutting out / lowering dairy intake had also SIGNIFICANTLY reduced my acne .Thank you for such a helpful post ! Thank you for such a helpful post. good info. Acne is the most common problem of skin when it gets then it gets so worse then i never thought of it. 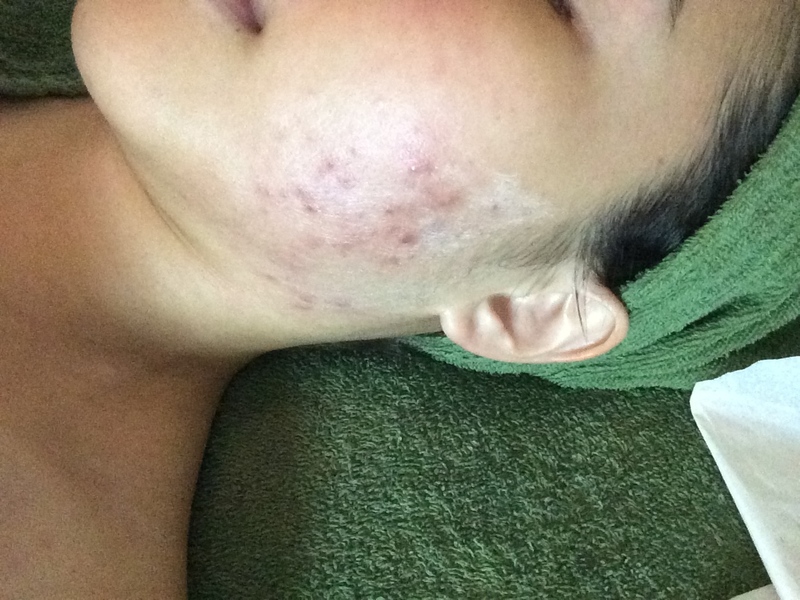 Dr Nivedita Dadu skin specialist in Delhi helped alot in getting rid of acne. If you are looking for a good dermatologist in Delhi, this is a quality piece of information for you. Dr Kandhari Clinic provides the best acne scar treatment in Delhi in the terms of cost also. The charges are economical and worth the value and result of treatment. This is the reason behind large number of satisfied patients who have been treated successfully in the clinic. For some, acne proceeds into their grown-up years, Drew Barrymore Face Cream making humiliation and inciting the sufferer look the restorative counters for intends to cover the spots. Remember that way of life decisions right here likewise affect the presence of your skin. Evading liquor and smoking is clearly an essential part of having solid skin.